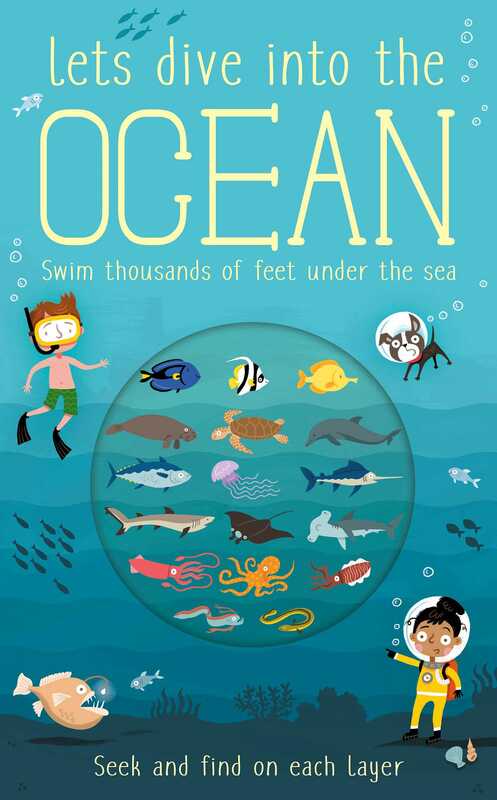 Search, find, and swim under the sea with this nonfiction adventure! Dive deep into the ocean in a fun, layered seek-and-find! Visit a colorful coral reef, explore shipwreck, and swim to the deepest parts of the ocean with this nonfiction treasure. Turn the pages and learn all about different ocean habitats as you search for fun surprises on every spread. This interactive undersea adventure will keep you informed and entertained! Timothy Knapman studied history at Oxford. Since then he has spent his time writing plays, musicals, songs, operas, and children's books. His books include the best-selling Dinosaurs in the Supermarket, Eleanor’s Eyebrows, and Mungo and the Picture Book Pirates and its sequels. They have been translated into 15 languages and have been read on CBeebies Bedtime Stories. Tim has also written for CBeebies’ "Driver Dan’s Story Train." Wesley Robins is a freelance illustrator and designer from London. He graduated from Kingston University, and his first graphic novel, Ascent, was published in 2011 by Jonathan Cape.